Wizard of Oz Dorothy & Friends Mr. Potato Head Boxed Set:I don't think we're in Kansas anymore, Tater!Dorothy, Scarecrow, Tin Man and the Cowardly Lion…in Mr. 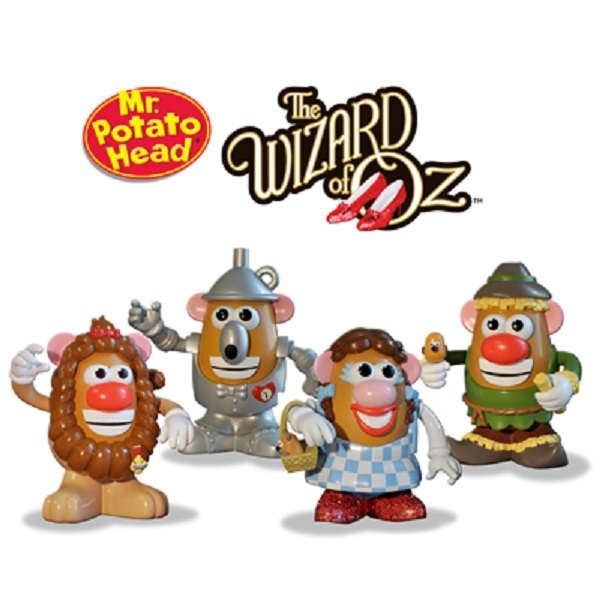 Potato Head form!You don't have to travel over the rainbow for this great boxed set!Follow the Yellow Brick Road to mix and match fun, with this Wizard of Oz Dorothy & Friends Mr. Potato Head Boxed Set! Featuring Dorothy, Scarecrow, Tin Man and the Cowardly Lion - each loaded with parts and accessories - this is the perfect gift for Wizard of Oz fans, both young and old! Order yours today!